Warwick has many beautiful sights for the tourist but also a vast number of eating and drinking places. Our reviews highlight the good, the bad and the not so good! We are local to Warwick and Warwickshire so you can rest assured that any cafe, pub or restaurant review which appears here has been visited and tested by us personally. 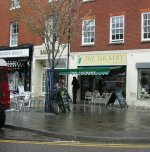 We cover the centre of the town and some not so central locations. If you are a tourist in Warwick or simply want some background information about this delightful town then click here for a guide to Warwick town. A stylish and modern restaurant and bar in the centre of Warwick which serves top quality food. Tapas sized portions or main meal sized British and European cuisine. 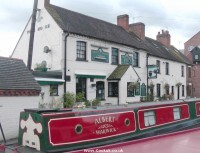 The Malt Shovel is a very attractive pub in the village of Gaydon, Warwickshire. A large bar, a staged seating area with stained glass windows, solid wood and comfortable furniture, all contribute to make this a very popular pub. 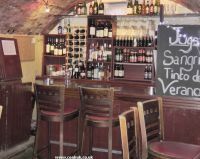 A delightful pub in the village of Northend serving good food and drinks at reasonable prices. Beautiful countryside views. 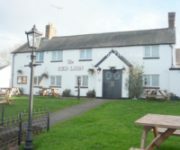 A large Carvery, restaurant and pub very close to junction 15 of the M40. We were served good food at value for money prices. Other reviews have varying opinions. 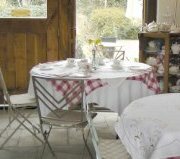 Set in beautiful countryside, this tearoom takes you back into a bygone age of elegance. Excellent food served in fascinating surroundings. Highly recommended. Right on the edge of the Grand Union canal, the Cape of Good Hope serves good beer, wines and food. A welcoming interior makes this an excellent pub choice. Centrally situated in Warwick this tapas bar has indoor and outdoor seating. Excellent tapas type food, quick service and very pleasant surroundings make this a good choice for lunch or diner. Fully licensed. In Kineton, Shukurs has consistently served top quality food over the last 13 years or so. They combine this with excellent service and very reasonable prices. The best Indian restaurant for miles around. They major on quick service and low prices. Often this is just what is needed. But this is not a gastronomic delight. Cafe style food in the centre of town. Unlicensed. One of the best-looking buildings in Warwick with an interior to match. Great for a drink, bar food, restaurant food or an overnight stay. Quite simply one of the best cafes in Warwick and for many miles around. Escape into a bygone era and experience local home cooking at its very best. Unlicensed. For more information about Warwick, places to see, Warwick Castle and much more, click here.